Websites now provided us with an essential gateway to connect to the outer world in real time. 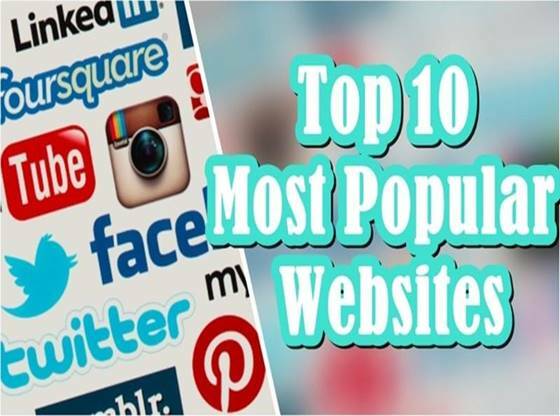 So most of you visit this sites on a daily basis but do you know the most visited top 10 best websites in the world. So here we bring up the list of top sites basis of user visits. As you all familiar with the internet you know thousands of websites are available on the web. Today we have around 3 billion internet users in the world and still growing at a rapid pace. With the increasing number of internet users visits to these websites is also increased.Now obviously the most common use of these websites is for social interaction, paying online bills, selling online products and many other things. So here we are with a list of top 10 famous sites of the world according to the number of daily visits and active users of that website. The tenth website on our list is Twitter you can’t avoid this site. 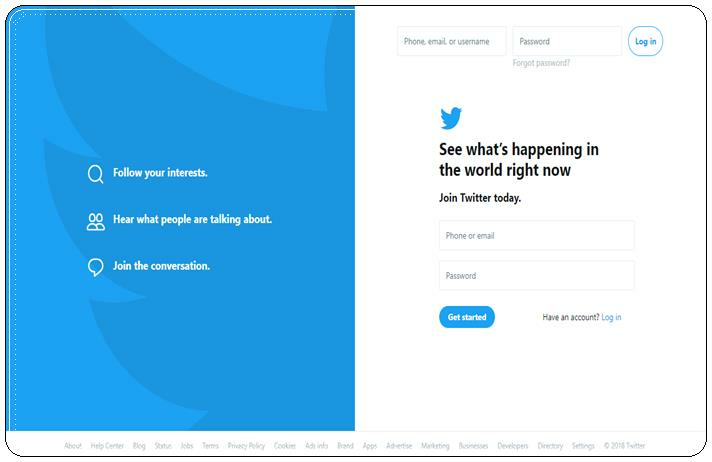 Twitter keeps you updated with all the things that you want to get an update. For example your celebrity favourite style to your favourite grocery store to your favourite internet troll. Twitter lets you have it all right away all the time never stopping never sleeping and never blinking. Twitter provides us with an ability to raise our voice and share our views. That’s why we all love that little blue bird. The 9th website on our list is taobao.com a consumer-to-consumer online marketplace. 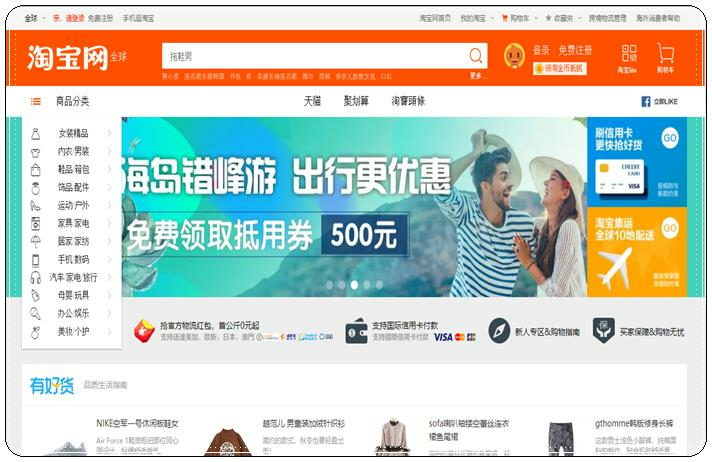 Taobao owned by the global giant Alibaba Corporation. Taobao.com is comparable to America’s Amazon except for population Because China is much bigger than America. China had a population of 137 crores which is around four times more than America’s. People in China love Taobao because it provides them many online services at home. With Taobao, you can have whatever you want with few clicks. LinkedIn this website mainly developed as a place where business people can communicate with each other. 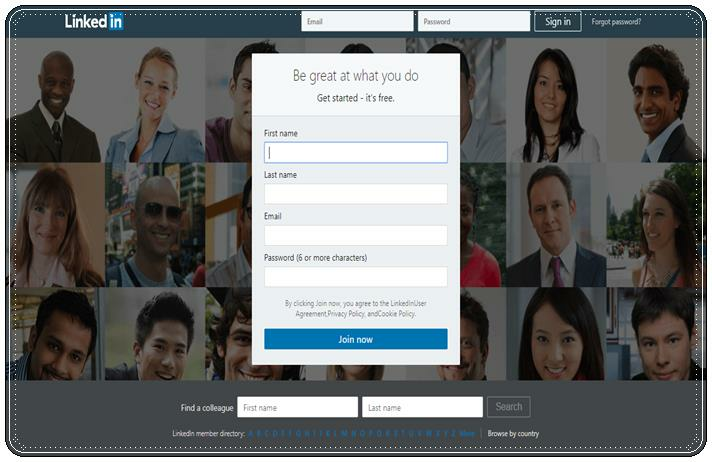 It will also assist recruiters to select a possible candidate. LinkedIn helps a massive number of people to find work and maintain connections. In this recruiter posting jobs here and job, seeker applies for those by submitting their resume. The LinkedIn currently had 500 million active users. Tencent QQ The Chinese messenger service ranked at number 7 on our list. People use this site for social networking, posting blogs, uploading and sharing content. 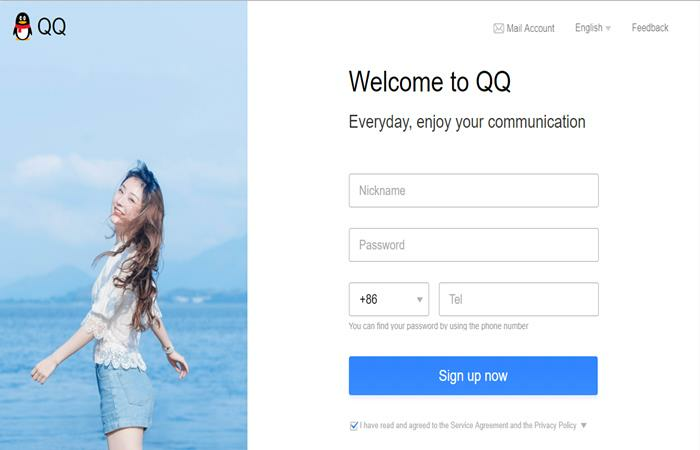 The parent company Tencent incorporated declare their intent to creates QQ as a one-stop for all online services. In fact, the company already have QQ games QQ mail QQ messenger QQ music QQ show etc. If you don’t know something about anything, Wikipedia is the place to go. In fact, it has millions of articles written in over 200 different languages. 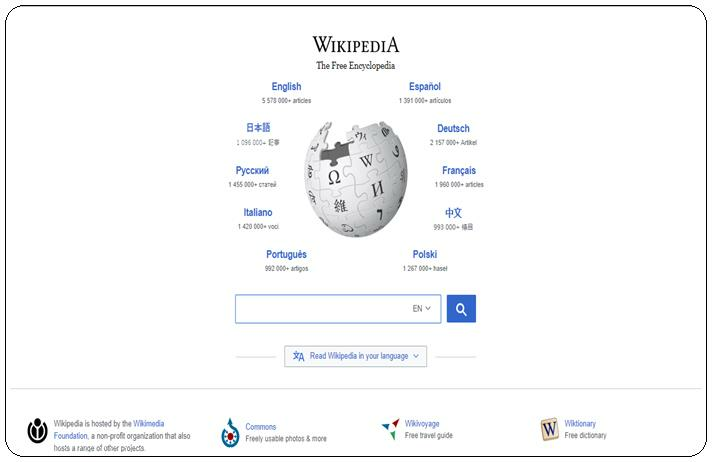 Wikipedia is currently most extensive encyclopedia ever put together. With 17 million articles Wikipedia can help you with your homework and assignments. If you’re trying to take the easy way out of a book report, Wikipedia will help you. 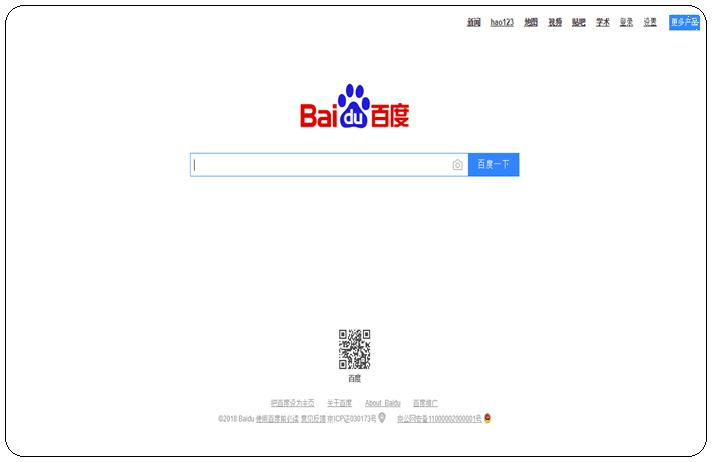 Baidu.com is also known as the Google of China. Likewise, Google they provide all the services which Google provides. Especially Baidu gives you a fast, reliable and smooth search experience. It also offers access to music PDFs and 50 other services. Baidu recently announced that they plan to acquire the app store company 91 Wireless. Yahoo is an internet portal which had their search engine. Yahoo is a hub for just about anything you can want online they’ll take you to it. Similar to Baidu Tencent or Google, Yahoo does it all. Microsoft once offered 20 billion dollars to buy it, but the offer has politely declined. 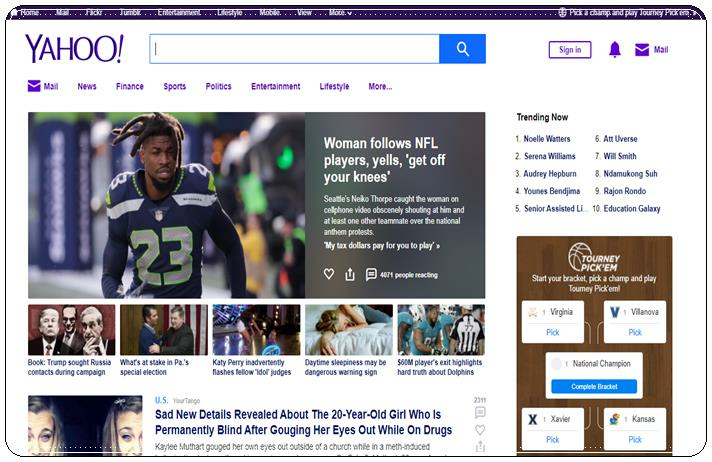 The yahoo gives you access to thousands of website with millions of content available on that website. 3-YouTube is the third most popular website in our list. Youtube especially used as video sharing platform. The new content uploaded daily on youtube. The site contains so much data that is impossible to view everything present on youtube. Youtube gives you access to the latest and old video songs. 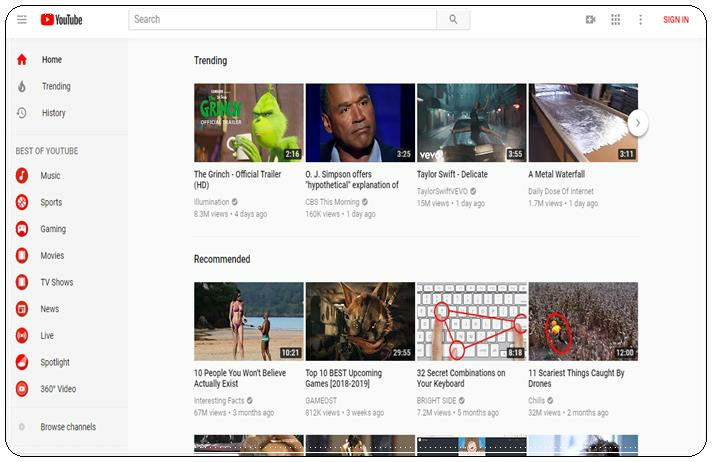 Here you can also watch the current movie trailer or game trailer.YouTube allows you to create a channel so that you can post exciting videos online which also help you to earn money. Facebook ranked as the second largest website. It is a social media and social networking service company. Facebook mainly allows you to connect with your family and friends online. 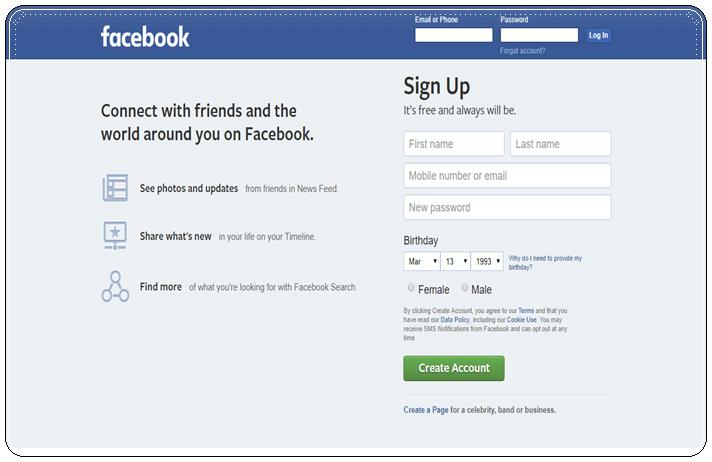 Facebook provides services like online chatting, video sharing and video calling. With Facebook, you can share your photos with your friends. You can also post messages and thoughts on your wall post. 1- Google is America’s tech-based company. 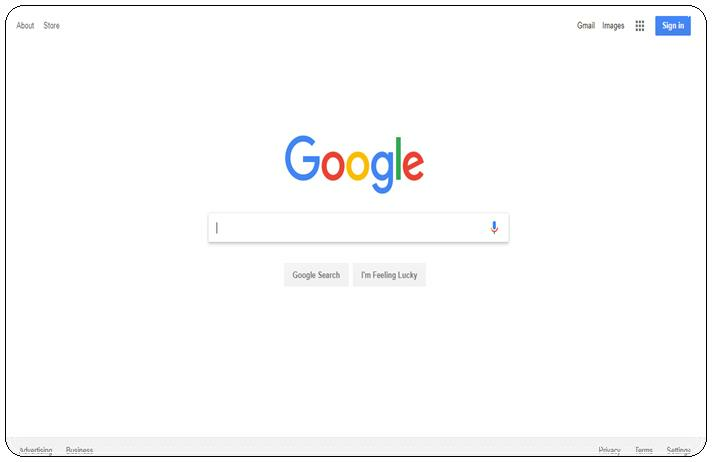 Google provides you internet-based products and services. Google is also known as the search engine for all search engines. You can use the Google services on the different type of electronic devices such as mobile, PC, laptop and tablet. If you’re looking for anything, you can google it. If you can’t find things on google then probably doesn’t exist.